When it comes to local moving services, nobody does it better than the professionals at Booth Movers! Since the 1940s, our expert New Jersey local moving company has been providing the area’s best moving and storage solutions at competitive prices. As a member of the New Jersey Warehousemen & Movers Association and the American Moving & Storage Association, our New Jersey local movers are dedicated to providing the highest level of customer care and satisfaction. Whether you are moving a small apartment or need a full-service household relocation, Booth Movers has you covered with our New Jersey local moving services! At Booth Movers, our first priority is making sure every customer has a first-class moving experience. Starting with our free, in-home estimates and exceptional customer service team, our Bergen County local movers will be with you every step of the way to ensure your relocation is smooth. Our New Jersey local moving company is a proud agent of Atlas Van Lines, providing us with the equipment and expertise to handle residential relocations of any size with the utmost care and quality service. When it comes to New Jersey local moving services, there is no job too big or small for our expert team of movers! From start to finish, we guarantee that your moving process will exceed all of your expectations! Household Moving – Our New Jersey local moving company has the experience to handle both small and large-scale household relocations. Senior Moving – We will help you or your elderly loved ones relocate with the highest level of care and consideration. Apartment Moving – When planning your apartment move, there is no better choice than the professionals at Booth Movers! Full Service Moving – Our comprehensive New Jersey local moving services include full-service options to take the stress out of your next relocation. 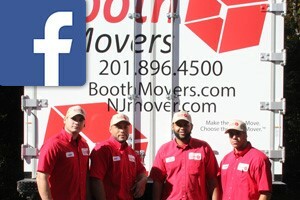 Are you ready to learn more about the first choice in Bergen County local movers? Just give Booth Movers a call today! You can also fill out our simple online form to connect with a moving professional and request your free, no-obligation estimate!